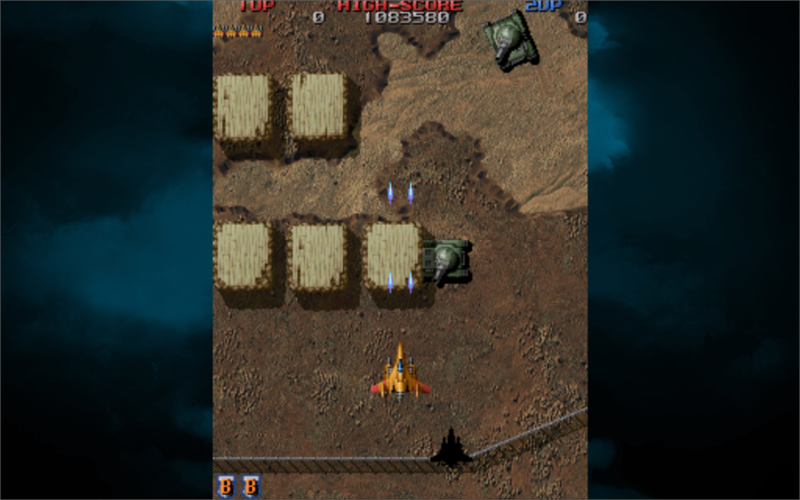 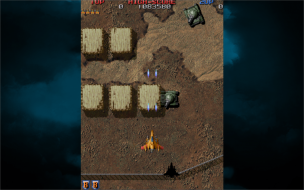 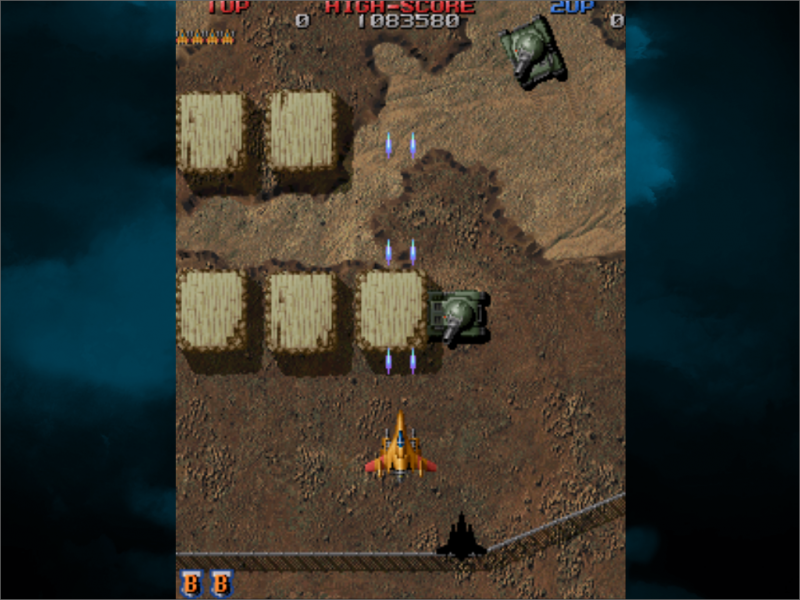 Raiden Legacy is a compilation of several arcade games: Raiden, Raiden Fighters, Raiden Fighters 2 and Raiden Fighters Jet. 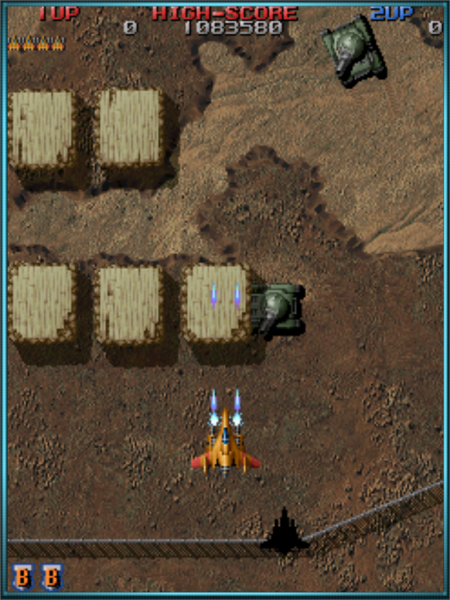 All normal widescreen resolutions are detected and listed in-game. 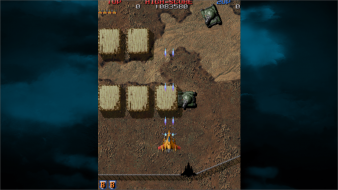 Gameplay is pillarboxed with an internal resolution of 240x320 (240x256 for Raiden) and always maintains the correct aspect ratio. 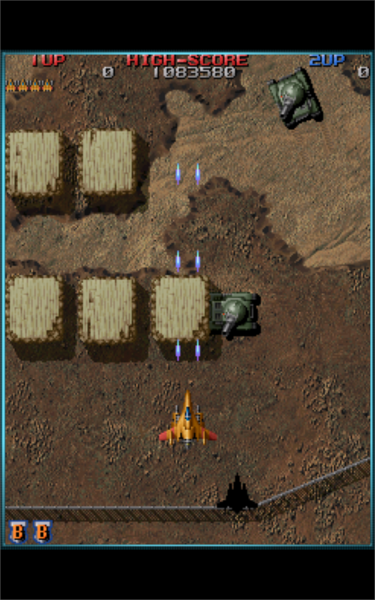 Menu backgrounds are stretched for 16:9 resolutions (16:10 resolutions display them correctly). 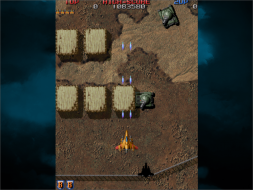 A portrait mode is included for use with displays that can be physically rotated. 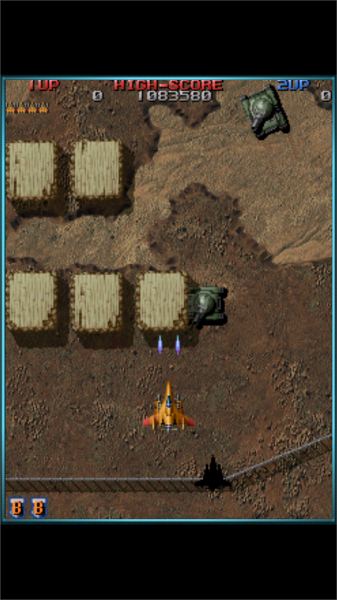 The aspect ratio setting in-game must be set to Original to get the correct anamorphic output otherwise it stretches to fill the screen. The Original aspect ratio adds a border; this can be changed by editing bg_cadre_fenetre.png in the resources folder where the game is installed.